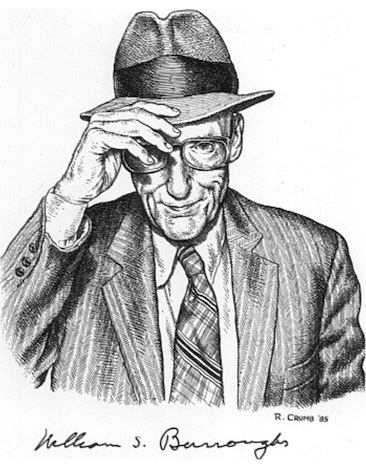 Portrait of William S. Burroughs © R. Crumb  Water Row Press. The portrait of William S. Burroughs was commissioned and originally published by Water Row Press in Massachusetts. 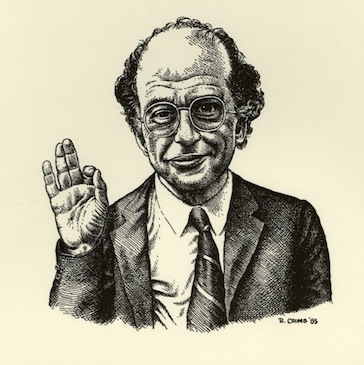 It was issued in 1985 as “Meet the Beats Poster Number Two” and printed in a limited edition of 100 numbered copies by Tabula Rasa Press, as were two other “Meet the Beats Posters” by R. Crumb — of Jack Kerouac and of Allen Ginsberg. 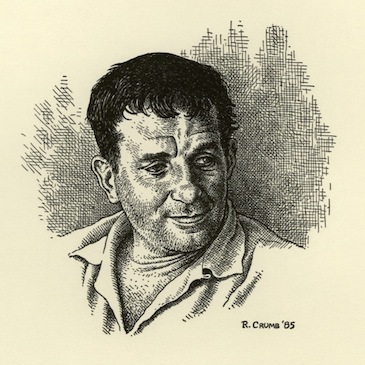 Portrait of Jack Kerouac © R. Crumb  Water Row Press. 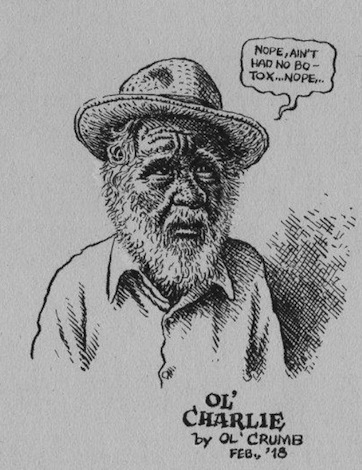 Portrait of Allen Ginsberg © R. Crumb  Water Row Press. He did old fat Kerouac without making him grotesque or pathetic. Bravo. A very great artist who, like Blake, will someday receive his due. Kerouac looks just as he was : A Republican momma’s boy on bottle who couldn’t drive Neal’s stick shift. CP’s is the Crumbest of them all, but they’d make a great run of postage stamps, to go on all those real letters that none of us can afford to send to each other anymore.